This was a tough challenge for me since we don’t have a train track within 20 miles of our house! So, I borrowed one of Chuck’s nick-nacks to photograph. 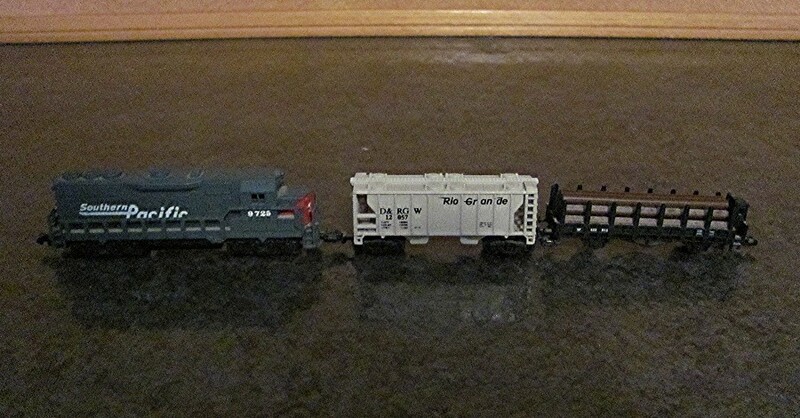 This is a macro train, probably only about 5″ long! This entry was posted on April 7, 2013 at 10:46 am and is filed under Uncategorized. You can follow any responses to this entry through the RSS 2.0 feed. You can leave a response, or trackback from your own site. Terrific trains! Our son had his sister get out his Christmas trolley for me, but I had already finished doing my post and wasn’t in the mood to edit.